Full of taste and energy, can be taken as a snack or in salads, untreated, a purely natural food. 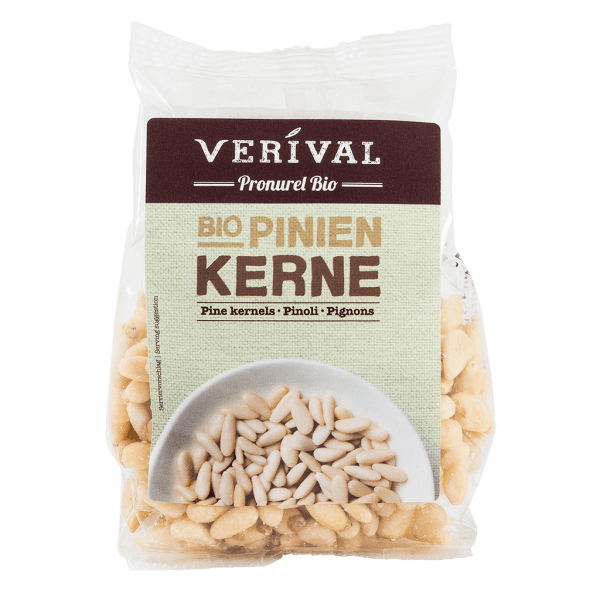 Our pine nuts come from Russia and Mongolia, are harvested by hand, gently air-dried and selected by hand. They are not subject to polishing or preservation processes and show off their full flavour either when eaten raw as a snack or roasted and eaten with leaf salad. They can also be used to enhance desserts and soufflés. > May contain traces of gluten, nuts, lupines, sesame seeds and soy. > Packed in a protective atmosphere.